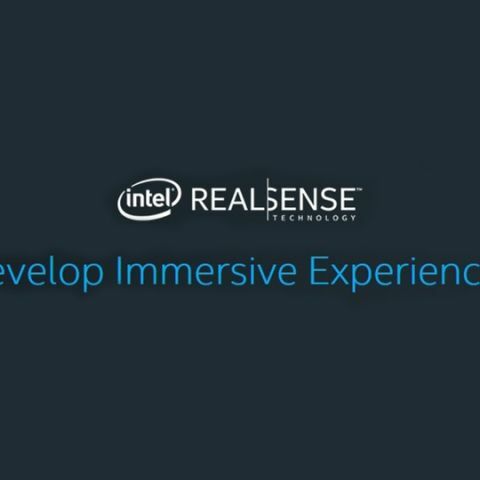 Intel has collaborated its RealSense technology with Google's Project Tango to announce its Developer Kit for Android devices. At the Intel Developer Forum 2015 concluding today, Intel announced a collaboration of its RealSense technology with Google to unveil Project Tango Developer Kit for Android-platform developers. Google’s Project Tango is about providing machines with a greater understanding of space and motion, the way humans perceive them. Collaborated with Intel’s RealSense technology, the new developer kit aims to provide depth-sensing technology for Android smartphones. Scheduled to be released to the Android developer community later this year, the developer kit will offer features like three-dimensional scanning, virtual reality scaling, and area learning capabilities for smartphones. Brian Krzanich, Intel CEO, stated that phones developed under Google’s Project Tango featuring Intel RealSense technology can “break the limits” of what a smartphone can do right now. The prototype device he showed at the unveiling event had a multiple camera setup, which gauges multi-directional depth and surrounding movements, giving smartphones a real-life notion of how humans perceive surroundings. Three-dimensional video rendering with real time motion and depth emulation happens to be one of the real world uses of this tech. Devices developed under Project Tango can also be used to scan 3D blueprints of objects, before being sent for professional 3D printing. Earlier this year, Google put up the developmental Project Tango tablet for open-oriented sale, pricing it at $512 (approx. Rs. 33,579). The tablet features a multi-camera setup on its rear, which enables 3D scanning and gaming abilities on it. Developed by Google’s Advanced Technology and Projects (ATAP) division, Project Tango has gathered considerable interest so far. A few months ago, word came of Qualcomm planning to manufacture a smartphone featuring motion-gauging capabilities. Stated “Coming Summer 2015”, Qualcomm’s official developer page mentioned that the upcoming smartphone will “combine the camera, gyroscope, and accelerometer to estimate six degree of freedom motion tracking, providing developers the ability to track 3D motion of a device while simultaneously creating a map of the environment.” LG has also been reportedly planning to make a Project Tango-powered tablet next year. As of now, this is available only in the United States, and the technology, in partnership with Intel, is under development, so it might be well into next year that we can expect a Project Tango/RealSense-powered smartphone in the commercial sector. Will Xperia M Get Android Kit KAt 4.4 ?????????? ?